I entered with 2015 with all kinds of expectation. I had plans for the year, big plans, 2015 was going to be my year. I had finally cemented my first pastoral position, had a girlfriend, 10:31 was doing well, my ducks were all in a row. I should have smelled trouble, but I was too busy looking at all that I had built. My attitude towards God had gone from gratefulness towards his provision to selfishness, thinking that what I had was not enough, I should have bigger things, 2015 was my year. No one was going to derail that. Then the stress of the life I had built for myself began to catch up to me, I began edgy, irritable, frustrated, depressed. Jennifer’s death in January only amplified that, then, after a week of sleeping about an hour a night, I feel off a ladder and you know the rest of the story. The world I had built was coming apart and I could not do anything about it. I spent a week at my grandparents at the request of the school and then wrestled with God for about a month while it all came apart. I heard Matt Chandler say once that when things like this happened, when God allows disaster or the exposure of our sins or whatever it may be, that it is truly an act of compassion. Compassion because it gives us the chance to be restored to God and to one another, to bring restoration into our lives and transformation where it is needed. I was in need of both, restoration to those I was hurting and transformation back to where God had been taking me the previous year. God had exposed me, all my ducks were dead or dying, the pond was empty, I was at rock bottom. But when you reach the bottom, it is true that there is no place to go from there. I was in a place where everything had been stripped away from me and all I had left was Jesus. And I was okay with that. But, when we first get back up those old habits can creep back in. So, I had expectations for Seminary, things that I thought should happen, things I thought I would do instantly like make numerous friends or do well in Greek. At the beginning, both of those things became difficult, though Greek eventually turned around and I made some very good friends. The setback in both those areas I attribute to all that was happening outside of my seminary existence. I was still recovering, my recall had not returned to what it had been and I was still trying to adjust to all the changes in my personality. I was more subdued and quiet than I had ever been in my life. Focused on settling into my routine. Along with the continuing recovery was our fight with Sterling College to finish a Math Class required for my undergrad. Over the years we had tried various courses and solutions and like a typical non-math pastor I did not manage to meet Sterling’s requirements on any of them. It was beginning to come to a head, I had to finish this class so I could stay in Seminary. But that road was far from an easy one for me and so because of all that I did not adjust to Seminary or integrate into the community well. I enjoyed my classes, even Greek, since I liked the professor. So, by the time Thanksgiving of 2015 had rolled around I was exhausted both physically and mentally, I had been restored to God and was still working on being restored to others. God was still working things out, I had one more lesson to learn. It was the first week back at the Seminary, the Spiritual Life Team was hosting a prayer night and I was not going to go. In-spite of my aversion to attending I found myself in the little chapel praying. I had already decided to give up expectations for the year, to just let God do what He would, but I had no clue what that would look like. I had surrendered 2016 to God, I had no hope for anything other than His provision. Instead of telling God what He should do for me I decided to really be intentional about growing in gratitude for what He had done for me and those blessings that were already in my life. But that also meant returning some things to Him that I had been holding back from Him, things like the Music, God’s Heart and my role in the community. That night, as I praying to the sound of one of my sisters in Christ playing the piano and another sister reading scripture I gave those gifts back to Him. The walls I had tried to rebuild came back down and for the first time in over a year I felt there was nothing between God and I. 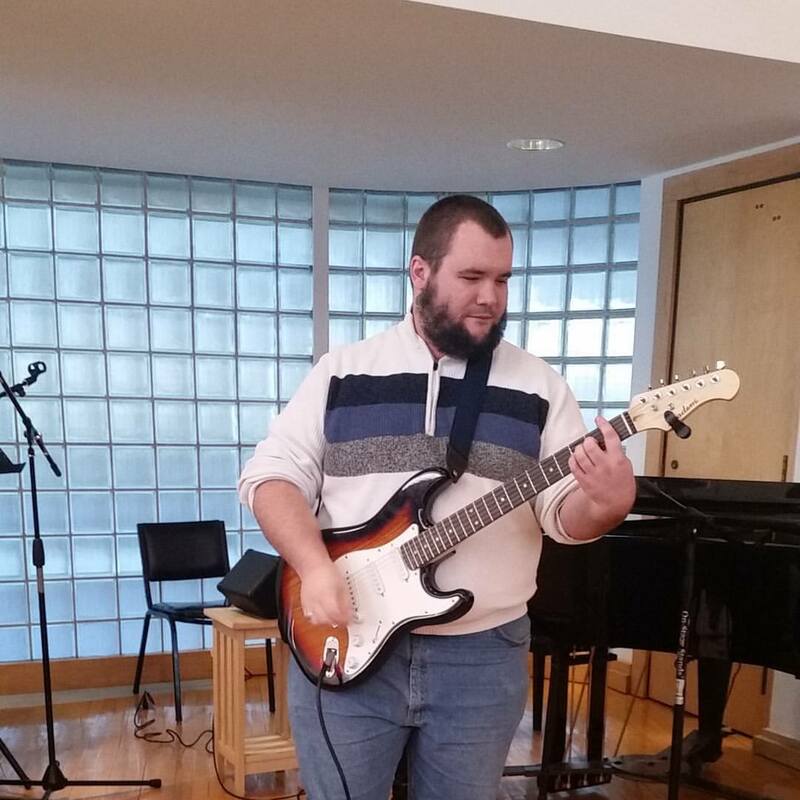 It was beautiful, I outed myself as a musician and God led me to a niche in the community as a worship leader. I am not going to pretend that my life is perfect now, because it is not, I have daily struggles. The issue with Sterling College was unresolved until last week (I get to stay in Seminary) and I still struggle with temptations. But for the first time in my life I truly understand what it means to live out of gratitude and truly love others. To include God in every activity, every part of your day. Depression has not been a problem for the first time since leaving ABC and my bible study time has been richer than at any other point in my life. Again, I am not perfect, I am not fully sanctified, nor do I think I have found the answer, but this is what God has taught me and where He has brought me. But if there is one expectation I do hold to is the hope of God’s fulfillment of His eternal promises. Dear friends, I want you to know the depth of what we have in Christ. The Joy of His constant presence, a life where He is the absolute center, informing every thought and every word we say. Where we live for Him and serve others out of the outpouring of His love for us. This year has been amazing, not because of what I have done, but because of what God has done. The people He has brought into my life, the situations He has worked in me to resolve, the growth He has brought. They are His workings, not my own, I would still be a mess if not for Him. He has even brought someone into my life who is becoming quite important to me. Who encourages me to remain grounded in Him and who I can share in the Joy of the Lord with. A dear friend who He has used to bless me and draw me closer to Him. Long ago I invited you all on this journey with me, and I pray you’ll continue that journey, to come with me into the Heart of GOD. To seek after Him, build up the Church, and grow into a deeper relationship with Him. To discover His heart for the widow, the orphan, the refugee and for you. Stay tuned, you never know where this adventure is going to take us.